In order to support our ambitious growth plans, we have just launched a brand new website that will act as a global showcase to our business and what makes us special. We enlisted the support of local firms Eleven10Creative and Cucumber PR to develop our online presence, which is designed to give existing and new customers an opportunity to see what we do, how we do it and, through a series of case studies, who we do it for. 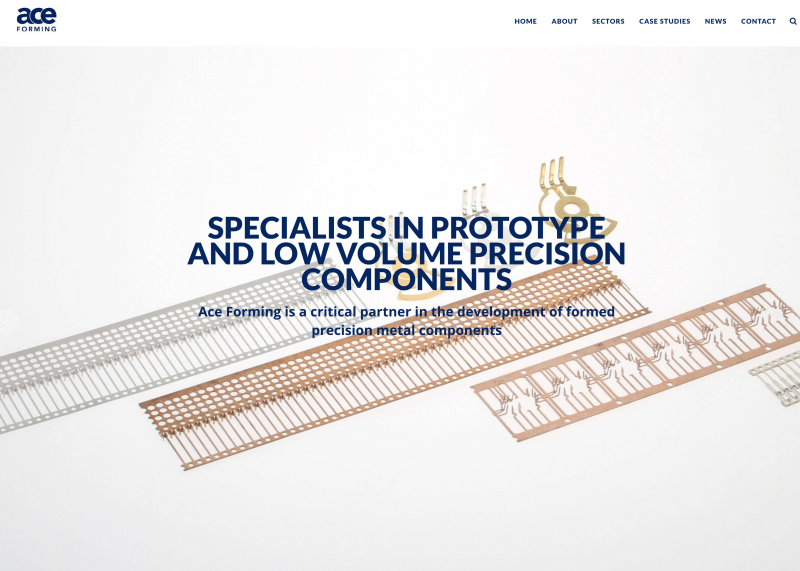 www.ace-forming.co.uk has been built in the latest format so it is easy to navigate, reflects a modern day manufacturer and can be viewed on mobiles and tablets. There will be a news section that will be updated regularly to give you the latest stories from the business and give you an insight into our technical capabilities. It is hoped that the website will generate new enquiries that we wouldn’t normally receive…so make sure you spread the word.